it's come to my attention that this blog is starting to fall by the wayside. something that i've noticed that i'm very good at is being diligent with one project for a burst of time, and then abruptly failing to keep at it. basically every diary or notebook or journal i've ever kept has ended in such a way. i really don't want that to happen to this blog. i realize that i'm very much behind in everything that i've been needing to do. somebody was talking in a car the other day--i can't quite remember who, but i think it may have been thea--about how they had recently heard somebody else say that if you want something in life, you need to work towards that something every single day. and that makes sense, because no matter how big or small the amount of action you take, so long as you're taking action you must be moving forward. i feel that for me personally, a career in art is the something that i'm working toward, and so from now on, i'm going to try and do something to work towards that every day. whether it be drawing, painting, writing, taking photographs, getting in touch with people who can help me, or even small things like dropping off film or posting photos to this blog, i am going to put all the dedication that i can possibly muster into those things. 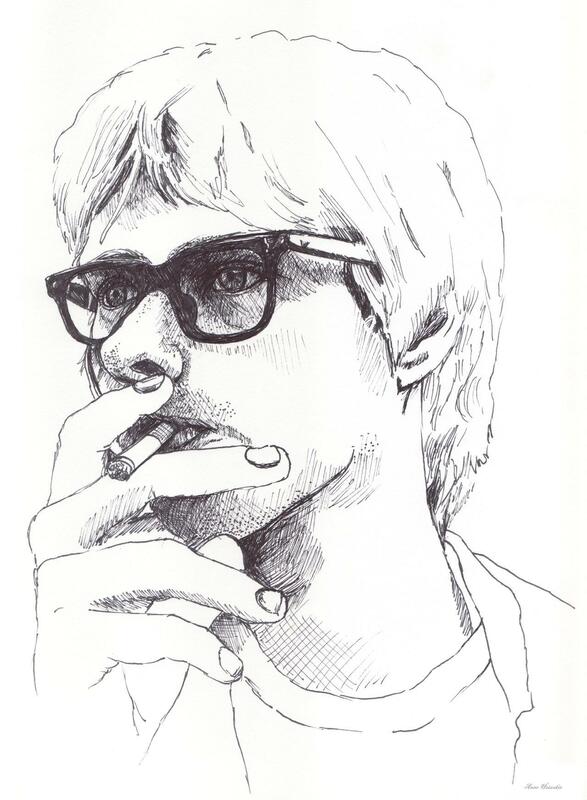 this is a drawing of kurt cobain that i made for rachel for her birthday. 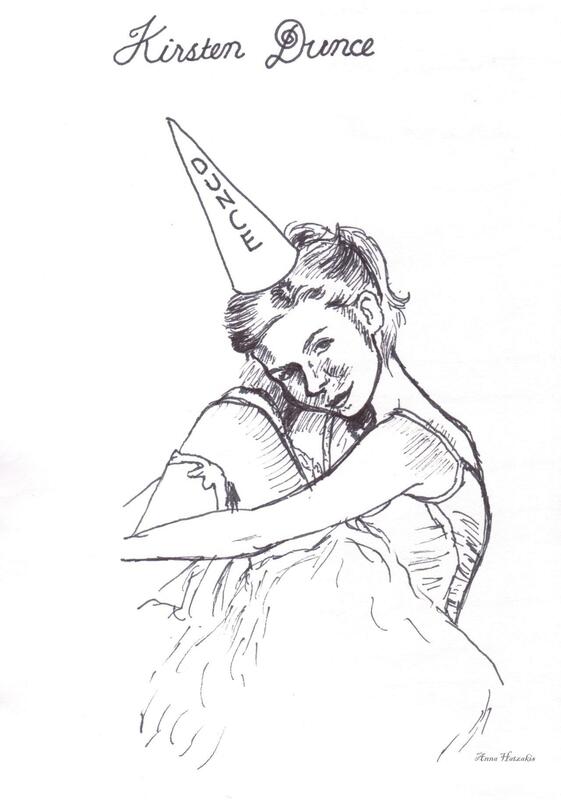 this is a drawing of kirsten dunst with a dunce cap on her head that i made because liam told me to. also, here is a page of dialogue from a passive aggressive play that i wrote on june 16th when i was feeling very down. it is 27% based upon a real conversation, and has a few profanities, so therefore continue reading at your own discretion. You're talented. Anyone ever tell you that?